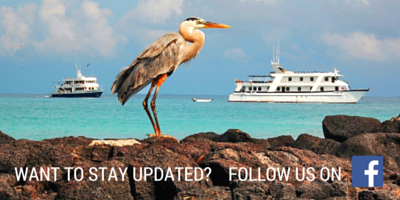 Christmas in Ecuador: how do Ecuadorians celebrate it? Christmas is an international known holiday. However, many countries or cultures celebrate it differently. Ecuador has Christmas traditions that are interesting if you are planning to visit the country during this season. First of all, Ecuador loves to have big Christmas trees. 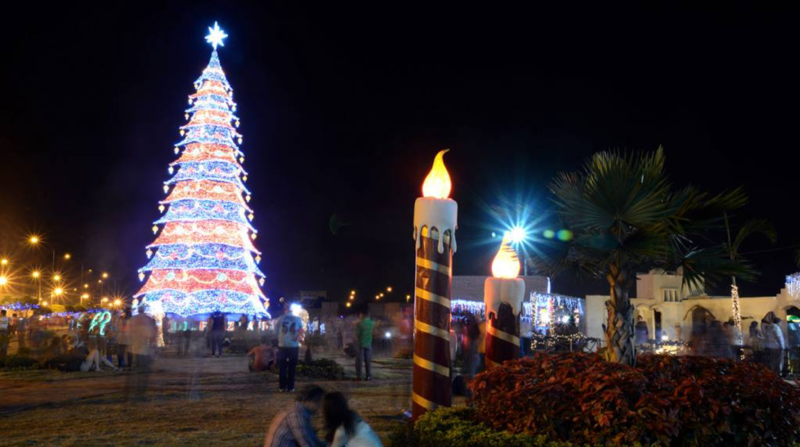 Last year, Machala, a city in the south of the country, won the contest with their 33-meter long Christmas tree. Not all cities will have a tree, but the majority of the cities have Christmas shows that are worth to see, for example, Pase del Nino! Read more about de shows down below. Most of the households decorate the inside of their house by having a traditional scene with little dolls of the Christmas story. Some of the houses are decorated from the outside while others aren’t. However, you can find Christmas light decorations in the streets everywhere you go. The Christmas season starts with La Novena which are the nine days before Christmas Eve. It is a prayer for Christmas that tells what happened in the nine-month pregnancy of Maria. Every day has its own special prayer. In many communities, these days have become important social events for families to celebrate with drinks and food. On Christmas Eve, Ecuadorian families gather around and have big family meals. It is common to prepare the meal together since there are many mouths to feed so many hands needed for help! 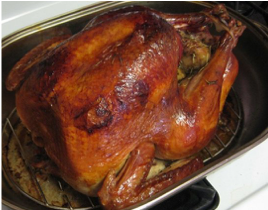 One of the traditional dishes for Christmas is roasted turkey, such as in North-America and other countries around the world. 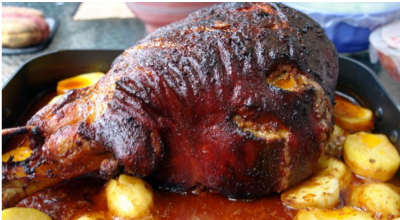 Another traditional dish is Hornado de Chancho, which is roasted pork leg marinated in garlic and beer. 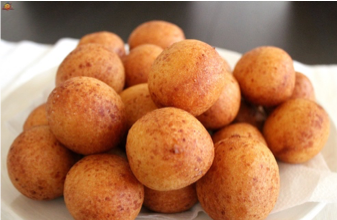 A small dish that is common to eat with Christmas is Buñuelos, a deep-fried ball. The balls can be filled with a variety of fillings either sweet or savory. Besides all the food, there are also traditional drinks for Christmas like Rompope and Mistela, which are originally Spanish drinks. 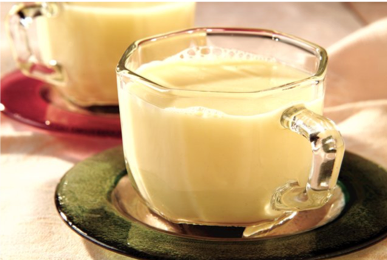 Rompope is a drink made out of eggs, milk and vanilla flavoring. 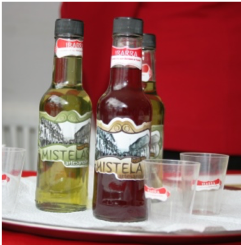 The other drink, Mistela, is a liquor made from grapes, it has a sweet taste and is often consumed with desserts. Pase del Nino is a celebration that also takes place on Christmas Eve. 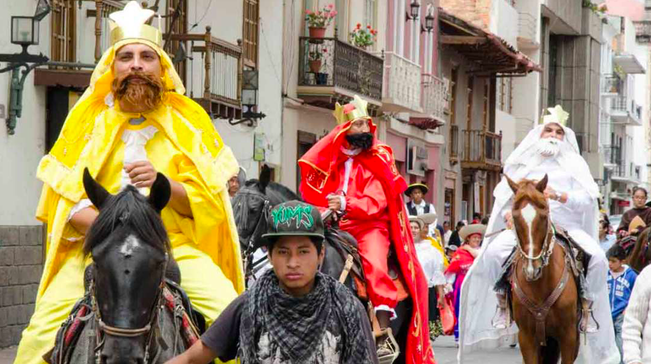 During this celebration, local people carry a statue or image of baby Jesus through the streets. This is often accompanied by people dressed up as Mary, Joseph, and the Three Kings, traditional musicians or bands, and folkloric dancers. This all together to create an amazing parade in the streets. In the evening of 28th November, there is a special event at the Panecillo statue in the Old Town of Quito. 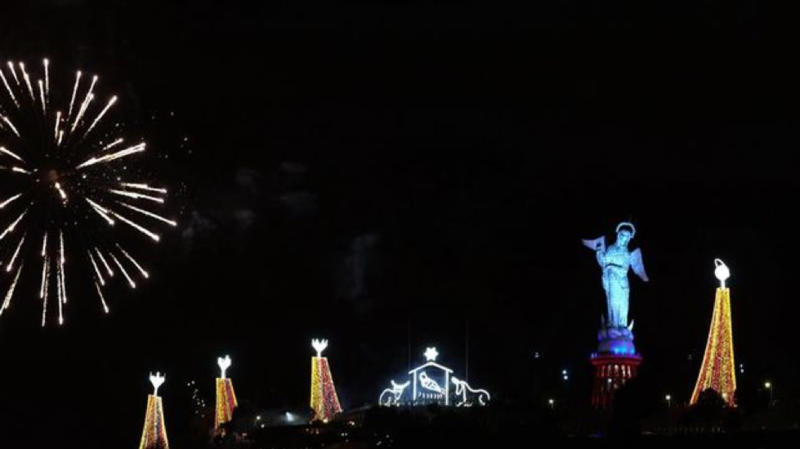 Next, to the 45 meters high virgin, you can see other statues that represent the Christmas story. The other statues represent Josef, the three Wiseman, and a donkey. The statues are made of metal anchored to concrete bases and illuminated by thousands of lights. From left to right, the tree Wiseman, the donkey, the virgin, Josef. Do you also celebrate Halloween in Ecuadorian style?